Need a credit repair lead funnel for promoting your credit repair services? We have a professional and clean credit repair lead funnel landing page design with video to help you capture quality leads online. 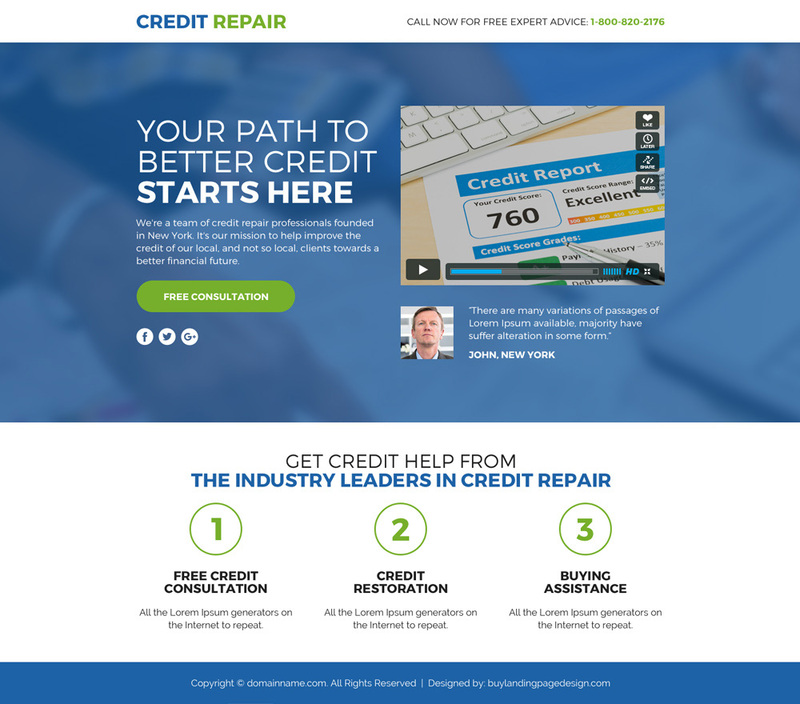 Promote your credit repair services with this appealing and eye catching credit repair lead funnel landing page design and boost your conversion rates effectively.